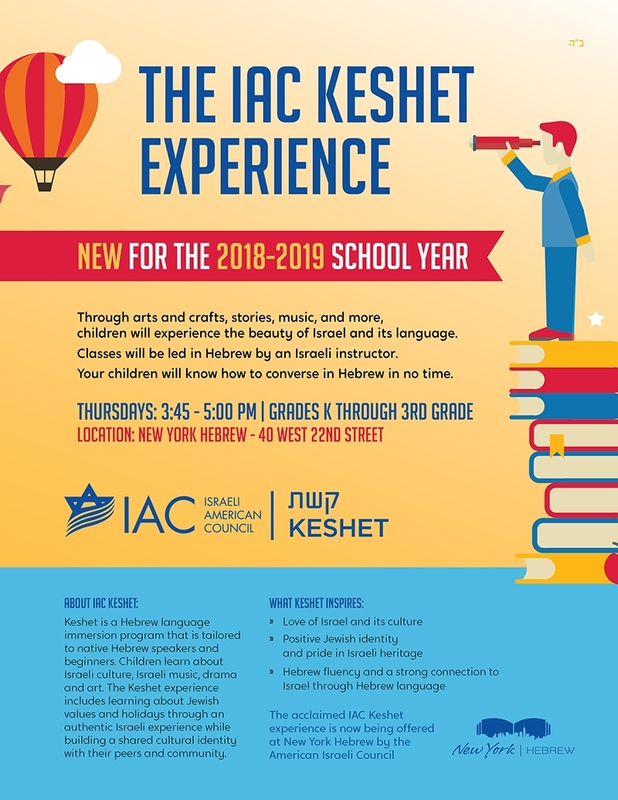 Thursdays: 3:45 – 5:00 p.m.
New for 2018/19 - New York Hebrew will be offering the acclaimed Keshet Experience by the Israeli American Council. Click Here for more details. Responding to parents who wanted their children to learn more about Israel and the Hebrew language, our Hebrew Immersion class enables students explore and experience the Hebrew language in a fun, engaging manner. Under the guidance of experienced Hebrew speaking instructors, children expand their Hebrew vocabulary in units such as classroom words, colors, numbers, and nature and actually begin conversing and following directions in Hebrew during class!